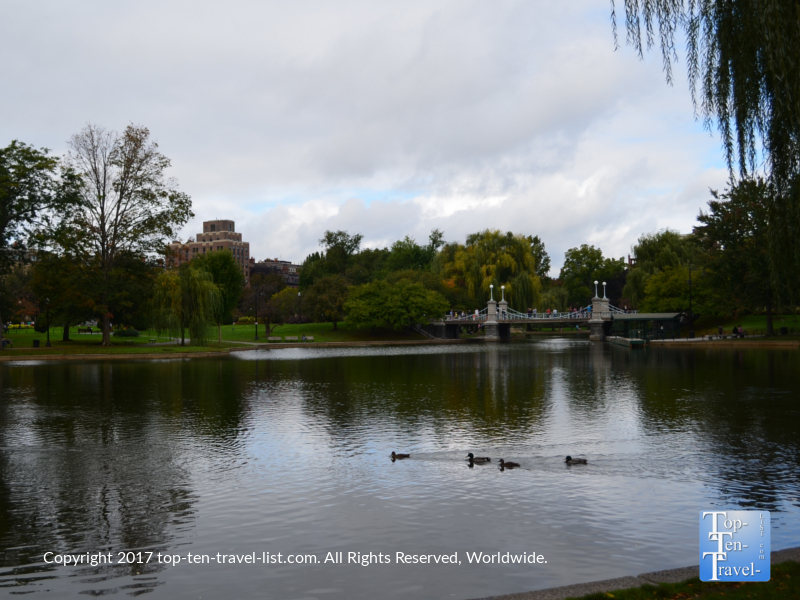 Attraction of the Week: Boston Common and Public Garden - Top Ten Travel Blog | Our experiences traveling throughout the US. 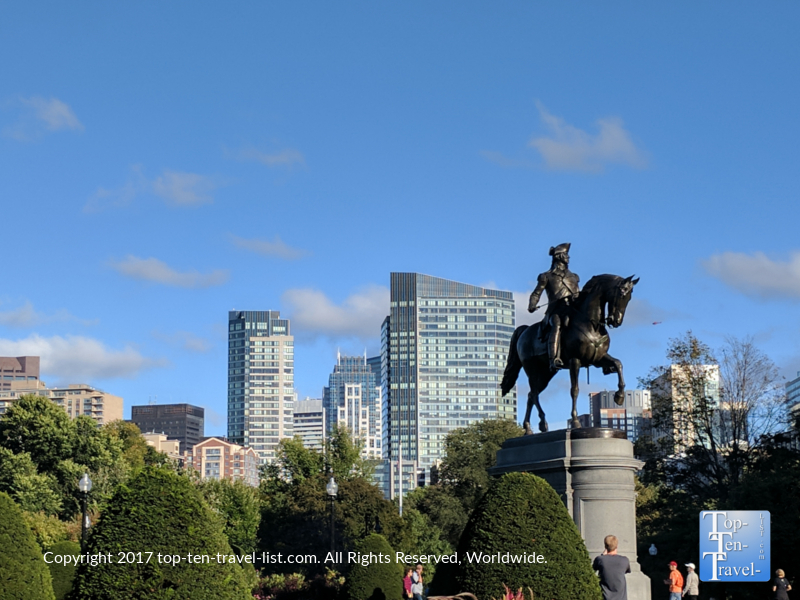 Anyone who has ever vacationed in Boston knows that you are in for a lot of walking if you plan on exploring all the historic sites downtown. 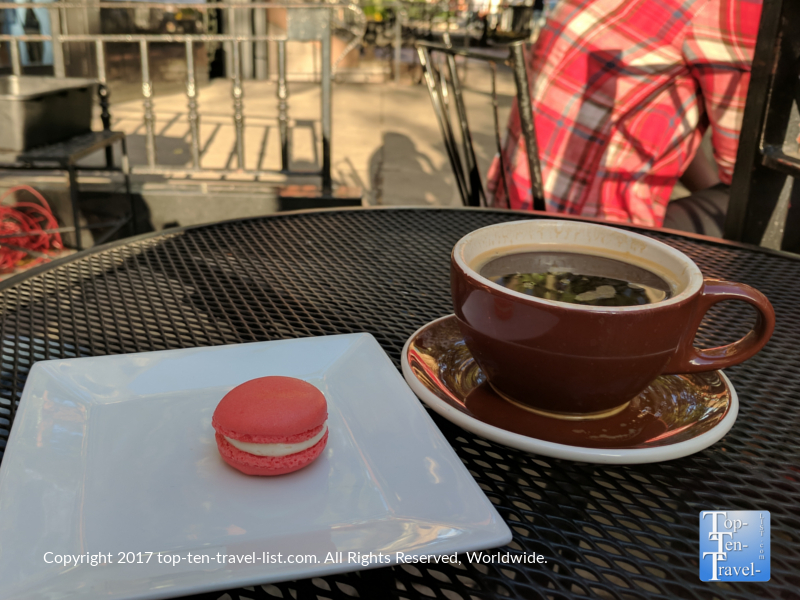 While the walking the Freedom Trail & exploring the North End, Beacon Hill, and Newbury Street are all fantastic must-do experiences, they can also be very exhausting. After several hours on your feet, it’s nice to get into nature for a bit. 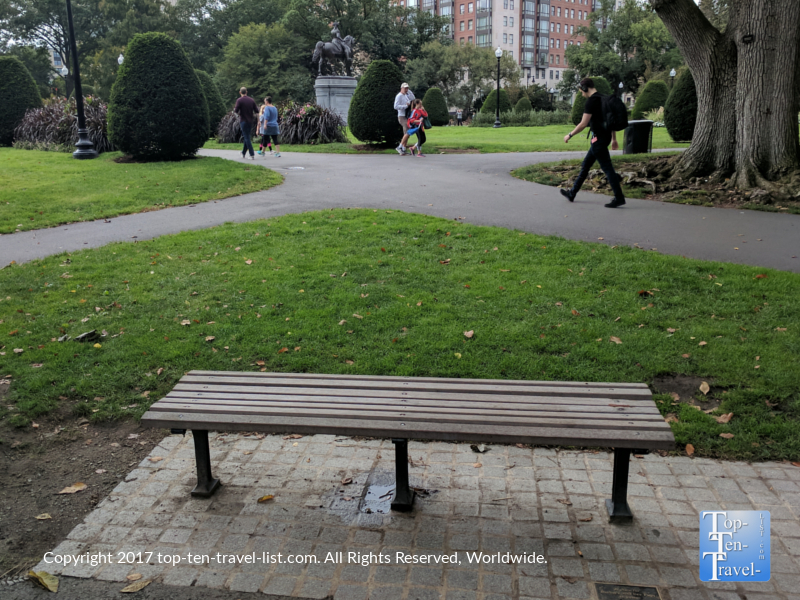 Fortunately, Boston has several beautiful parks amidst the city congestion if you need a relaxing break. 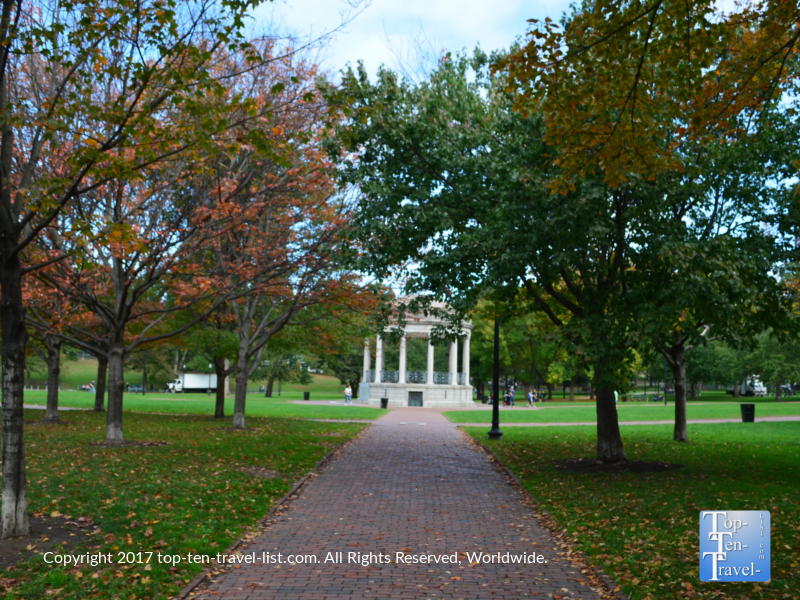 Boston Common and Public Garden are 2 of the most beautiful city parks you will ever come across. 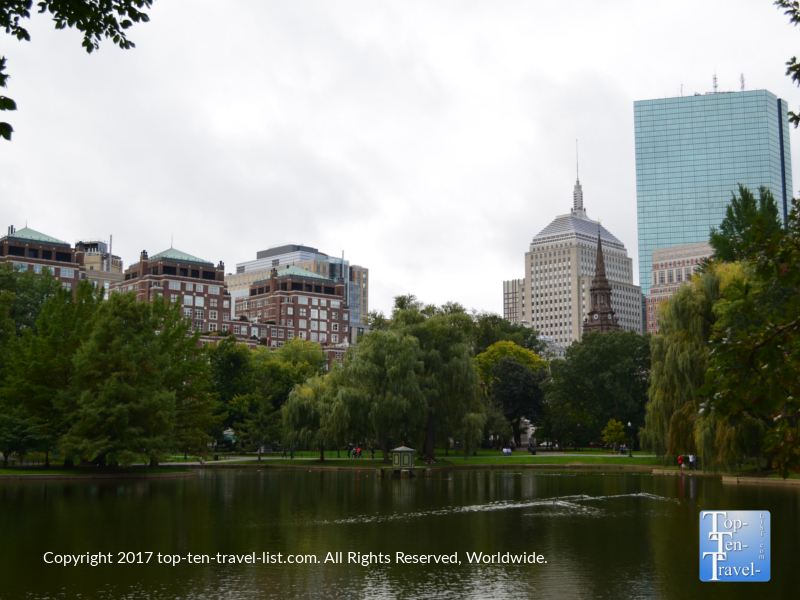 With Boston’s stunning architecture providing the backdrop, lots of leafy trees, changing views along with the seasons, and ongoing events throughout the year, both parks are an absolute must see on any Boston trip, anytime of the year. 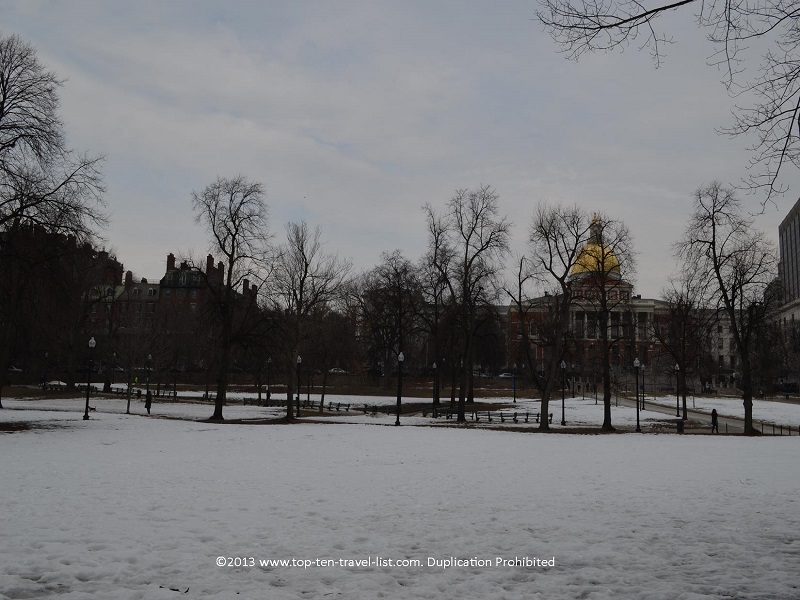 Boston Common was established in 1634 as America’s first public park. 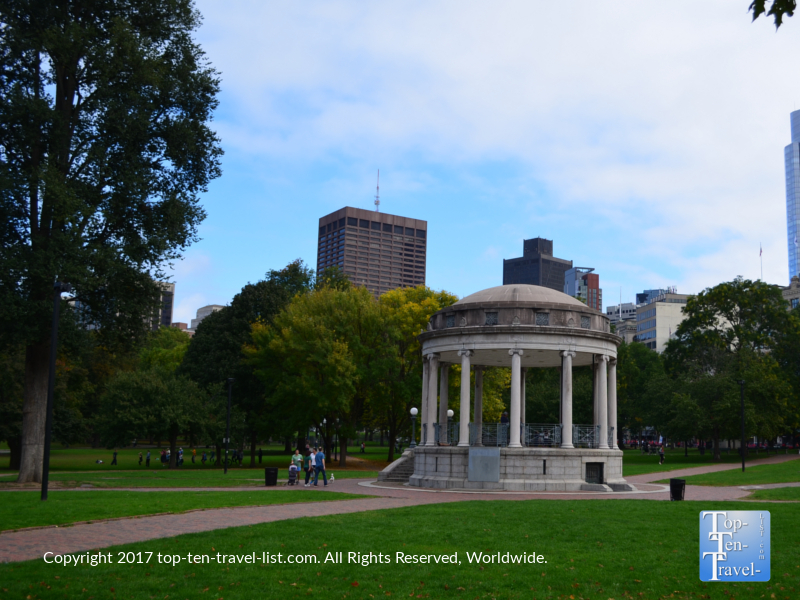 Located centrally in the heart of downtown, the Common is a beautiful park to visit anytime you need a break from the congestion. 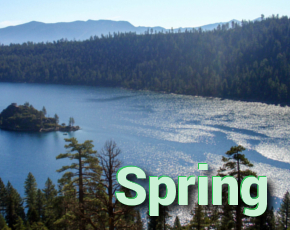 The great thing about New England parks is that the scenery changes dramatically throughout the year, from leafy green trees and flowers in the spring and summer, to colorful foliage in autumn, to snow covered trees and ice covered ponds in winter. I love seeing how the entire ambiance of the area changes throughout the course of the year. During the summer months, the Common is alive with tourists, vendors, tours, and lush green trees. As winter nears, the Common takes on a whole new look with barren snow covered trees, a festive ice rink & giant Christmas tree for the perfect urban holiday winter wonderland ambiance. The summer tourist crowds are long gone and you get to take advantage of the beautiful quiet grounds and picture perfect winter setting all to yourself. 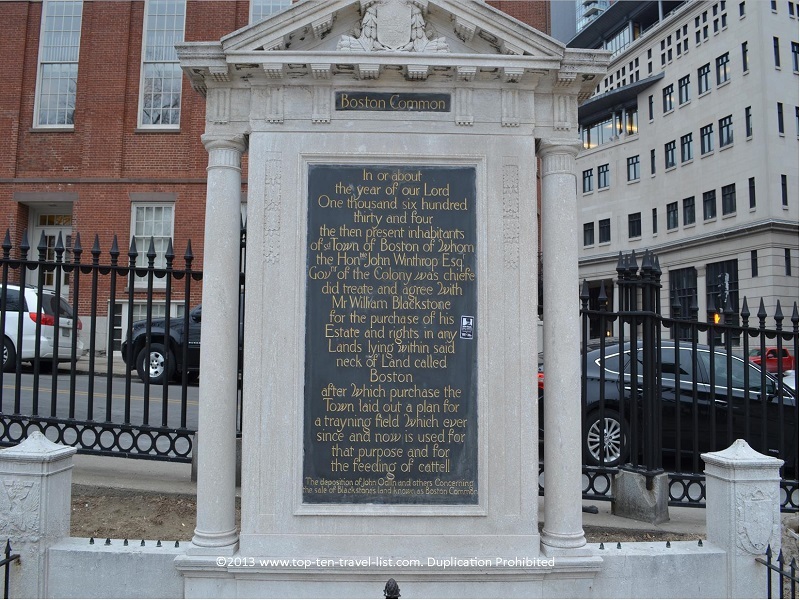 Boston Common is most commonly associated with being starting point for the Freedom Trail. From here, you can embark on a 2.5 mile journey through 16 of the country’s most prominent historical sites. I made a handy little Freedom Trail map which you can conveniently download on your phone. 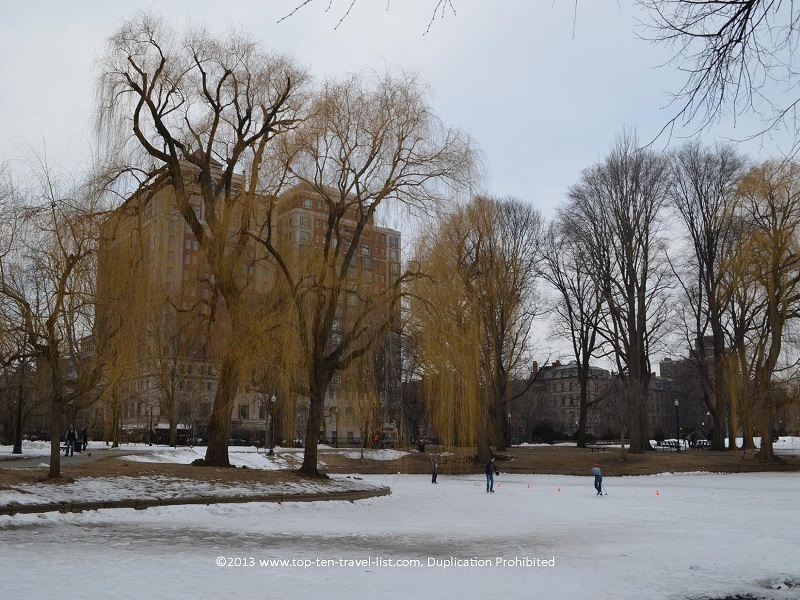 Boston Public Garden is conveniently located adjacent to the Common, so you can stroll right via the connected pathway. Established in 1837, the Boston Public Garden became the first botanical garden in the US. It really is a gorgeous place to stroll around, particularly in the spring season when the pink tulips are in bloom and the swan boats are in operation. The iconic pedal powered swan boat rides, which have been in operation since 1877, are a great way to take in the city’s beautiful scenery (and cheap too and just 3 bucks a person!). You will find many different varieties of trees at the garden, several notable statues including a large George Washington monument, and of course, the beautiful lagoon as the centerpiece. A lovely suspension bridge is the perfect place to take a few photos. Like the Common, the Public Garden is beautiful in a different way each season. If you are looking for a peaceful experience, wintertime offers a picture perfect snow setting minus the intense tourist traffic found in the summer and fall seasons. Not a tourist in sight during the quiet, picturesque winter season! 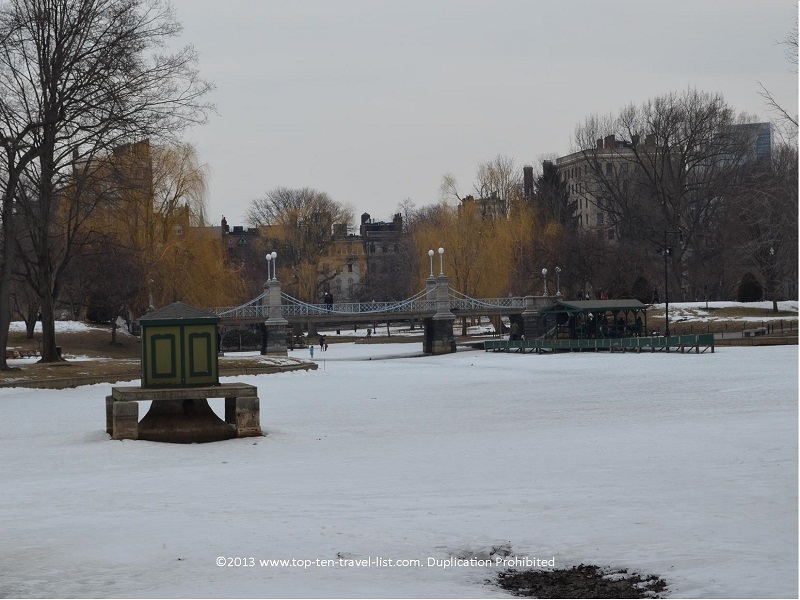 The Public Garden has been used in the filming of various movies scenes, the most well known being the Robin Williams & Matt Damon bench scene in Good Will Hunting. If you are a movie buff, you will definitely want to take your pic on the bench. Numerous other movies have filmed around the downtown area. I recommend taking the movie tour if you have extra time available. 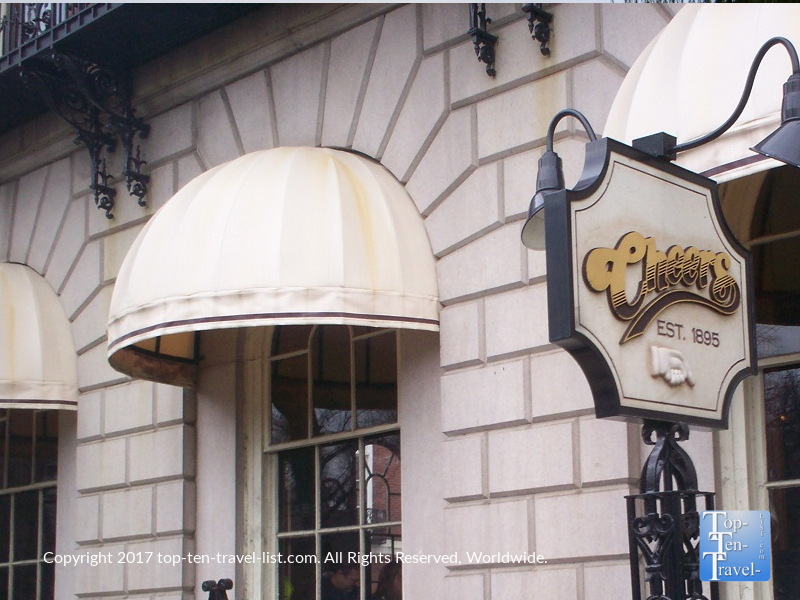 Fans of the 80’s classic sitcom Cheers will also want to head over to 84 Beacon Street, which is just a 10 minute walk from the Garden. Formerly known as the Bull & Finch Pub, this bar was used for the exterior shots. The pub’s interior does not resemble the show’s bar, however, the Faneuil Hall Cheers was created as an exact replica of the show’s set. Be sure to take some time out of your hectic vacation schedule for a relaxing walk around both parks. I recommend grabbing a cup of delicious coffee at the Thinking Cup for your stroll. 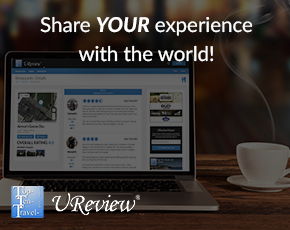 It’s one of the best local coffeehouses in the city! Thinking Cup serves the best coffee in Boston. The Tremont Street location is conveniently just across the street from Boston Common. 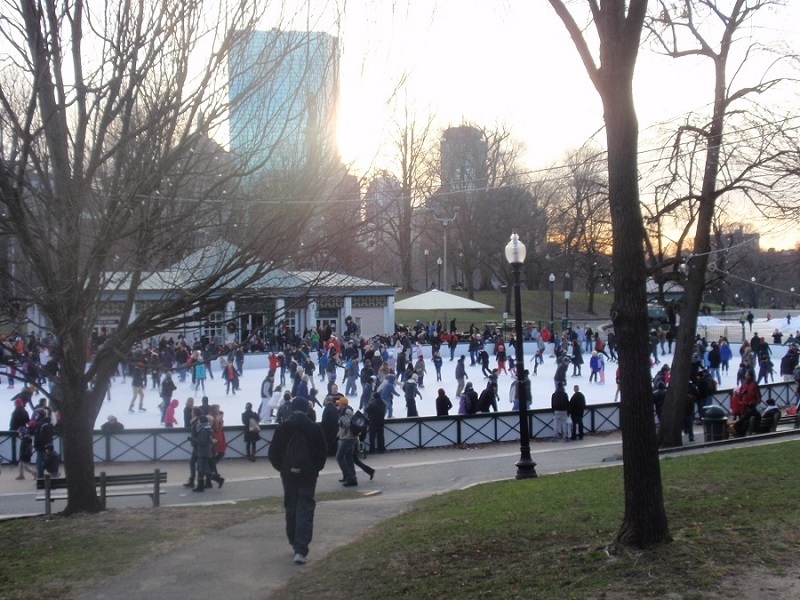 While you are in town, here are 20 other fantastic & free Boston attractions to check out!